This interesting picture sequence came via Eddie Smith of Essex. 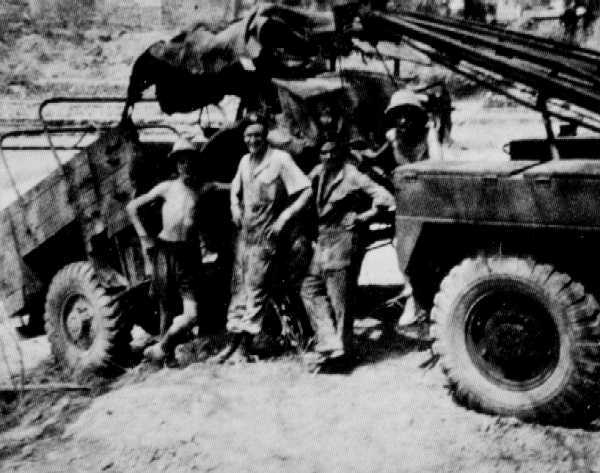 The snapshots show the recovery of a late model Indian pattern Ford FGT artillery tractor which has dived off a bridge and in the process separated from its 25-pdr gun and limber. The location was near Attock, on the River Indus (between Rawalpindi and Peshawar) in the North West Frontier area (now Pakistan). 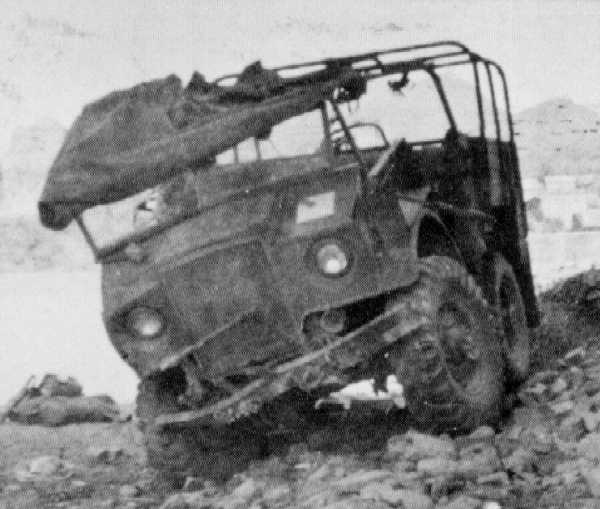 To the rescue came a Holmes-equipped 1944/45 F60L wrecker from the barracks at nearby Nowshera. Open-style FATs were quite common in the Far East, being used by Commonwealth forces and later also by the Dutch in the NEI (where some sported frontal armour)." These pictures show that the "Indian pattern" FAT (based on both Chevrolet CGT and Ford FGT chassis) had a roofless Cab 13 and a wooden rear body. The latter was very likely designed and built in India, where numerous CMPs were assembled from CKD kits. Peter Ford mentioned that Ford's own export records do list, in addition to the standard C291Q FAT, a number of C291QH FATs being sent to India in 1943. These 'H' chassis types could have been used to build the Indian pattern FATs. Dirk Leegwater of the Netherlands came up with this picture of an Indian pattern FAT, in use with the Royal Netherlands Marine Corps' ARBAT (Artillery Battalion). 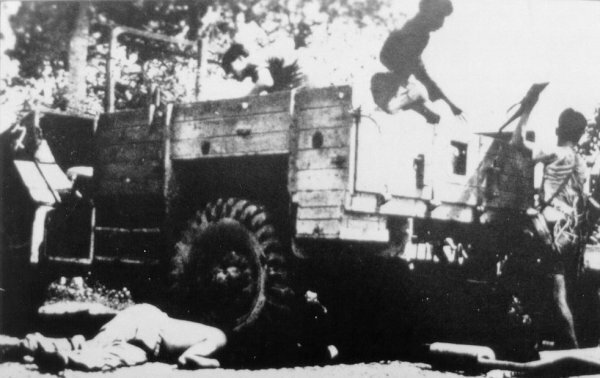 The picture was taken on East Java, Indonesia, near the end of 1946. Note the soft top cab without doors, and the rack on the right front fender. "Convoy of porpoises of the 22nd RIC en route for an mopping-up operation in the vast hevea plantations of the 'Terres Rouges' (Photo Eliopoulos)." 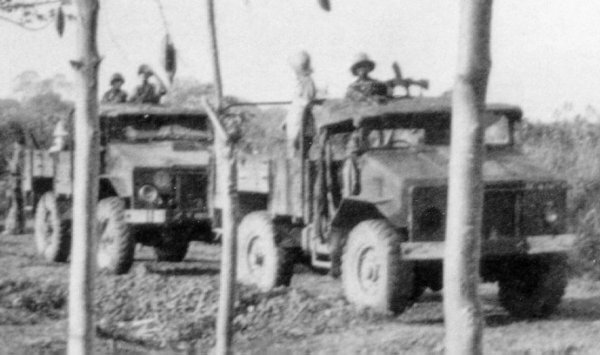 This picture shows a pair of Indian pattern FATs with armoured cab in French Indochina. The picture, featured in a French book on the war in Indochina, shows soldiers (nicknamed 'porpoises' or 'marsouins') of 22nd RIC (Régiment d'Infanterie Coloniale). 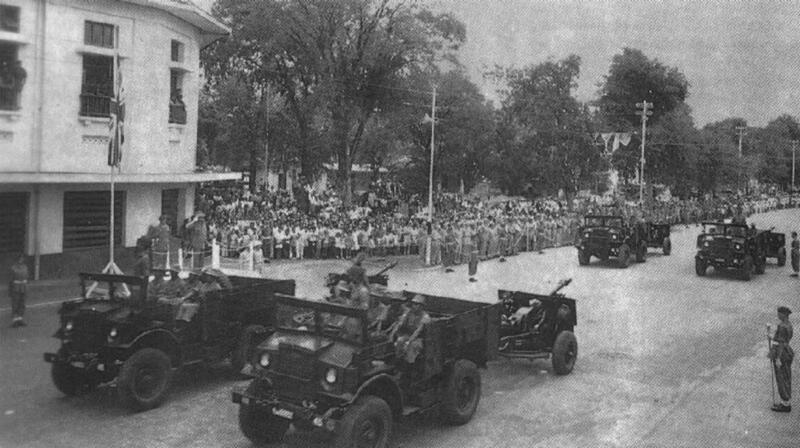 British troops occupied the southern portion of Indochina after WW2. Not until 1946 the French had mustered sufficient forces to take over from the British. Some armoured and wheeled vehicles were handed over to the French, apparently including these obscure FATs. "The ambushes nourished a permanent feeling of insecurity, immobilizing scores of troops in the sector, undermining the morale by their murderous repetition and permitting the recuperation of weapons and material (Photo CMIDOM)." 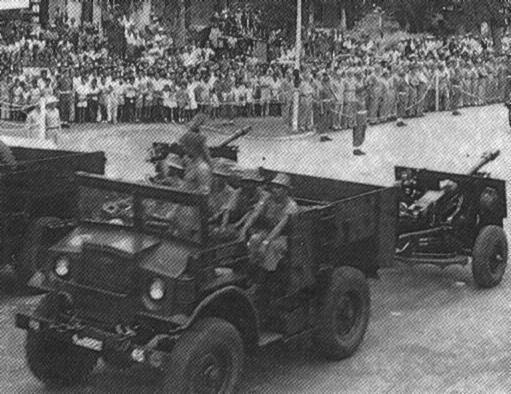 This picture shows the rear body of an Indian pattern FAT with armoured cab (note angular mudguard and cab), again in French Indochina. "6th Indian Field Battery, Royal Indian Artillery drives past the Commander in Chief during the Rhine crossing anniversary parade". Mick Bell came up with a picture from Indian Pattern FATs of the 6th Indian Field Battery, Royal Indian Artillery parading at Semarang on Java on 24th March 1946. The battery was part of 6th Airborne Division, who had of course taken part in the Rhine crossing airborne assault in 1945. 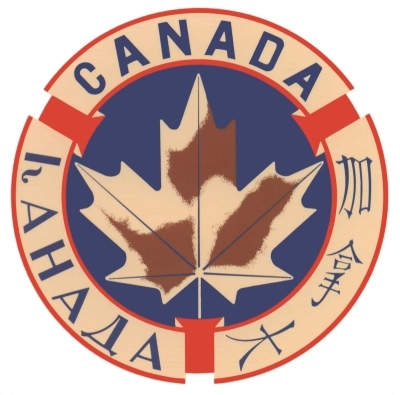 They were in the far east in 1946. This picture offers a view previously unseen. Note that these FATs seem to be based on a Chevrolet CGT chassis/cowl. There's no cab back and a gun crew bench is fitted in the forward part of the body. It could well be these FATs were later handed over to the Dutch forces. Compare the rear body of the FAT pictured above with the one on the Chevrolet 1311X3 15-cwt 4x2 GS truck shown here. This truck was assembled and bodied in India. Its wooden body is clearly closely related with, though not identical to, the one on the Indian Pattern FAT. "This image is provided for research purposes only and may not be reproduced or published." Negative Number: 045230. 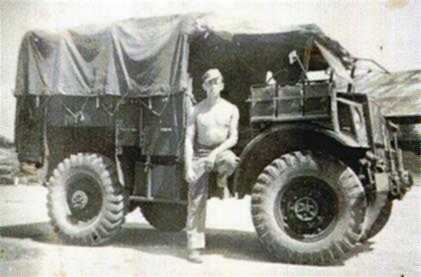 Caption: TROOP CARRIER, 15 CWT LORRY, CHEVROLET, 113 1/2 INCH WHEELBASE. INDIAN ARMY VERSION. LEFT REAR VIEW, REAR CANOPY NOT FITTED. Another shot of the Chevrolet 1311X3 15-cwt 4x2 GS truck. This image gives a good left-hand view of the wooden body. "This image is provided for research purposes only and may not be reproduced or published." Negative Number: 127800. Caption: AUSTRALIA. LORRIES, 15 CWT. INDIAN ARMY TYPE TROOP CARRIER 113 W.B. CHEVROLET. LEFT SIDE VIEW. Mike Kelly pointed out that the rear body on the Indian pattern FAT is not unlike (though not identical with) some wooden GS type bodies. Click here for more information on Australian wooden bodies. Note: images marked "Australian War Memorial" above are not copied but linked directly from the AUSTRALIAN WAR MEMORIAL PHOTOGRAPH DATABASE. They are provided for research purposes only and may not be reproduced or published. If anything, drawings/measurements of the Australian wooden bodies would be a good starting point for a reproduction of an Indian pattern body for a CMP FAT. Any information pertaining these FATs or Indian/Australian wooden bodies is welcome! If you know more please tell us or reply to the Indian Pattern FAT thread on the MLU Forum.